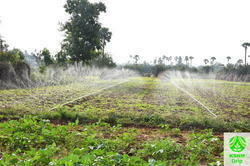 Providing you the best range of drip kit - 1000 sqm - 1/4 acre, drip kit - 4000 sqm - 1 acre, drip irrigation kit - 500 sqm - 12 cents, spray irrigation kit - 1000 sqm - 1/4 acre and drip kit - 2000 sqm - 1/2 acre with effective & timely delivery. 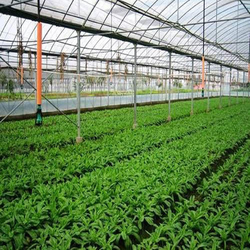 Drip Tape DRIP TAPE - 250 PP 45 cm / 9 lph / 16 mm / 1000 meter. 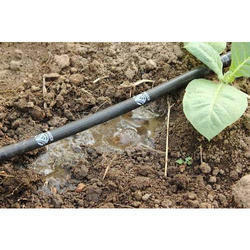 Drip Irrigation Kit - 500 Sqm - 12 Centsuses Drip Tape. Drip Tape is a thin walled tube. It is normally flat and becomes round when water flows through it. There is no dripper in drip tape. Only simple holes are made with nano technology. Water flows continuously like a jet instead of drop by drop. The major advantage of this technology is that there is NO CLOGGING problem. The DRIP KIT Kit uses DRIP TAPE - 250 PP 45 cm / 9 lph / 16 mm / 1000 meter. 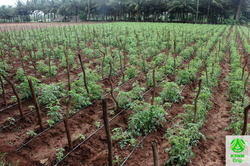 The kit contains all the parts required for Spray Irrigation for 1/4 Acre Land. Total Gross Weight 16 Kg.